In the last few months, I have seen a sharp rise in the number of trade articles discussing the use of gonzo research. To be honest, I wasn’t exactly sure why. I recall briefly discussing the term in a market research theory course in college, but that’s about the extent of my history with gonzo research. After brushing up on the subject, however, I realize that gonzo might be the next big market research trend. Most companies think of research in terms of expansive studies commanding monstrous budgets. Not only is this type of research expensive, it can bog down the development process. This leads to many companies forgoing research altogether, which is a mistake brands later regret. Instead of scaring clients away from research with complex methodologies, consider gonzo research. Like gonzo journlaism, this type of research is subjective and the researcher plays a central role in data collection. Gonzo research is best understood as the most common sense way to answer a research question often through observation. Consider this example. If a potato chip brand wants to know what product features consumers value most in their preferred brand, they might traditionally conduct a series of focus groups with consumers, including product testing in a controlled environment. To answer the same question with Gonzo research, the brand would simply send a few people into the chip aisles of the local supermarkets and observe their behavior. The best kind of research provides insights that had previously gone unnoticed. Conducting research on beer? Hang out a bar and take note of the language different types of consumers use when ordering. No matter the subject, you don’t need to spend a fortune to get good research. It’s all about thinking creatively, which is what gonzo research is about. 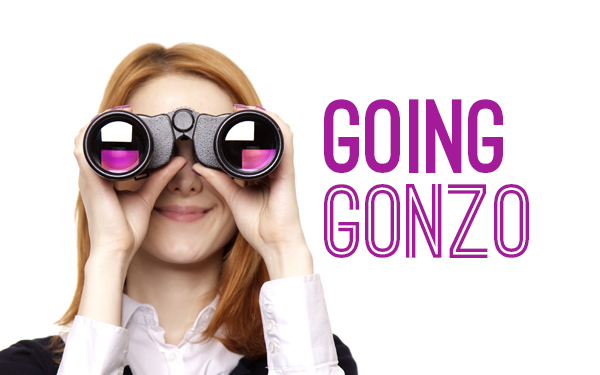 So why will gonzo research be the next big thing in marketing research? Well, let’s consider our current economic climate. Market research tends to be one of the first places companies look to curb spending. It’s easy to see that traditional methodologies will need to adapt. In my opinion, Gonzo research is just the solution the market research industry needs to grow and prosper in the era of the fiscal cliff. What are your thoughts on gonzo research? Tell me more by posting in the comments section below.